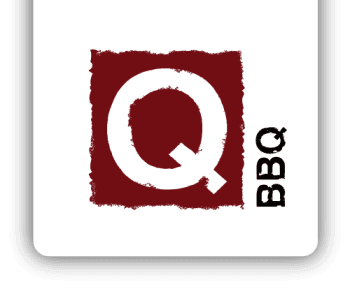 September 28, 2016 (La Grange, IL) - Q-BBQ, a fast-casual Michelin Guide Bib Gourmand-winning restaurant, brings their big bold BBQ to brunch starting this October every Saturday and Sunday from 9 AM to 2 PM. The awarding winning Q-BBQ restaurant features their trademark smoky and spicy flavors in menu items like melt-in-your-mouth Burnt End Hash, hand-dipped Cornbread French Toast, authentic Chicken & Waffle, rich and creamy Biscuits and Gravy, and Alabama Benedict topped with tender hickory smoked pulled pork. The new brunch menu will debut on Saturday, October 1 at the Naperville location and will roll out at all locations by the end of the month. Burnt End Hash ($13.99) 24-Hour smoked burnt ends, roasted corn, black beans, red onion, Brussels sprouts, two eggs, hand-cut potatoes. Portobello Hash ($12.99) 2 hour smoked Portobello mushroom, roasted corn, black beans, red onion, Brussels sprouts, two eggs, hand-cut potatoes. Cornbread French Toast ($7.99) hand-dipped cornbread French toast, with fresh maple syrup. Chicken Biscuit Sandwich ($9.99) two crispy chicken filets, served between two flaky buttermilk biscuits, pickles, with a side of garlic-parm potatoes. Also available with dry-rubbed spicy chicken. Alabama Benedict ($9.99) pulled pork, buttermilk biscuit, sausage gravy, two eggs, served with a side of garlic-parm potatoes. Chicken & Waffle ($10.99) brown sugar crusted Belgian waffle, crispy chicken, mashed potatoes, fresh maple syrup. Editor Note: To schedule an interview, receive high res. images, or to come to the restaurant to sample the brunch menu please contact Amelia Dellos at amelia@agencythreesixty.com. Q-BBQ is a fast-casual Michelin Guide Bib Gourmand-winning restaurant (2012, 2013) that specializes in authentic barbeque, featuring smoked Texas brisket, Carolina pulled pork, Memphis dry rub chicken wings and signature homemade sides such as Hush Puppies and Mac-Q-roni. The counter-service, fine casual restaurant has locations in downtown LaGrange, downtown Naperville, Schererville, IN and now in Oak Park. Q-BBQ offers brunch, beer and wine, take-out, and catering, plus retail sales of its three signature sauces. For more information, visit www.Q-BBQ.com, Facebook.com/EatQBBQ, or Twitter.com/EatQBBQ. What is Q? Watch Michael LaPidus "Papa Q" talk about their regional BBQ, awesome people, and what makes Q so very delicious!